1. What is LiFePO4 Battery? The lithium iron phosphate (LiFePO4) battery, also called LFP battery (with "LFP" standing for "lithium ferrophosphate"), is a type of rechargeable battery, specifically a lithium-ion battery, which uses LiFePO4 as a cathode material. LiFePO4 batteries have somewhat lower energy density than the more common lithium cobalt oxide (LiCoO2) design found in consumer electronics, but offer longer lifetimes, better power density (the rate that energy can be drawn from them) and are inherently safer. 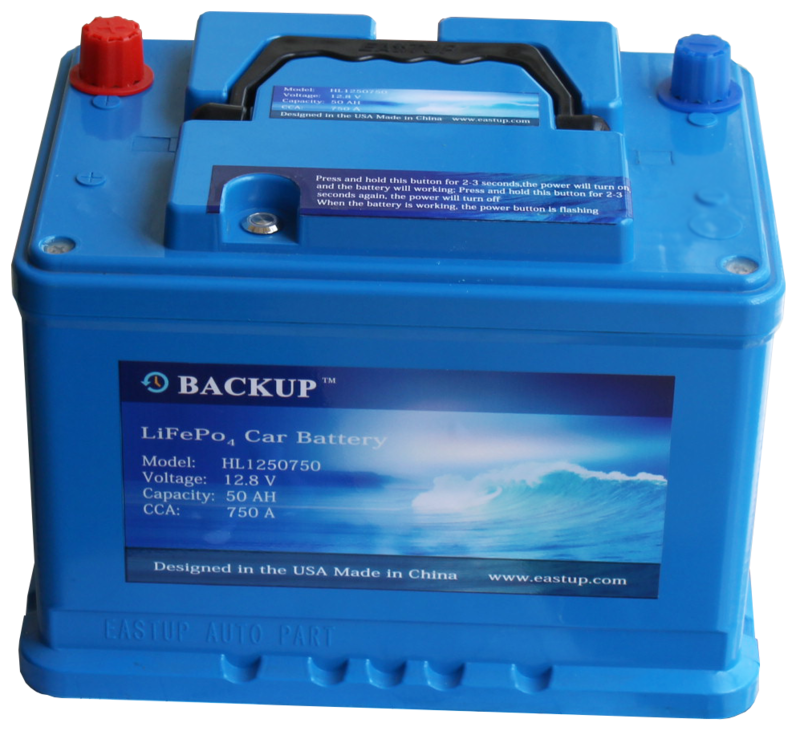 LiFePO4 is finding a number of roles in vehicle use and backup power. LiFePO4 is a natural mineral of the olivine family (triphylite). Its use as a battery electrode which was first described in published literature by John B. Goodenough's research group at the University of Texas in 1996, as a cathode material for rechargeable lithium batteries. Because of its low cost, non-toxicity, the natural abundance of iron, its excellent thermal stability, safety characteristics, electrochemical performance, and specific capacity (170 mA·h/g, or 610 C/g) it gained some market acceptance.The chief barrier to commercialization was its intrinsically low electrical conductivity. This problem was overcome by reducing the particle size, coating the LiFePO4 particles with conductive materials such as carbon, or both. This approach was developed by Michel Armand and his coworkers. Another approach by Yet Ming Chiang's group consisted of doping LFP with cations of materials such as aluminium, niobium, and zirconium. Products are now in mass production and are used in industrial products by major corporations including Black and Decker's DeWalt brand, the Fisker Karma, Daimler AG, Cessna and BAE Systems. MIT introduced a new coating that allows the ions to move more easily within the battery. The "Beltway Battery" utilizes a bypass system that allows the lithium ions to enter and leave the electrodes at a speed great enough to fully charge a battery in under a minute. The scientists discovered that by coating lithium iron phosphate particles in a glassy material called lithium pyrophosphate, ions bypass the channels and move faster than in other batteries. Rechargeable batteries store and discharge energy as charged atoms (ions) are moved between two electrodes, the anode and the cathode. Their charge and discharge rate are restricted by the speed with which these ions move. Such technology could reduce the weight and size of the batteries. A small prototype battery cell has been developed that can fully charge in 10 to 20 seconds, compared with six minutes for standard battery cells. One important advantage over other lithium-ion chemistries is thermal and chemical stability, which improves battery safety. LiFePO4 is an intrinsically safer cathode material than LiCoO2 and manganese spinel. The Fe–P–O bond is stronger than the Co–O bond, so that when abused, (short-circuited, overheated, etc.) the oxygen atoms are much harder to remove. 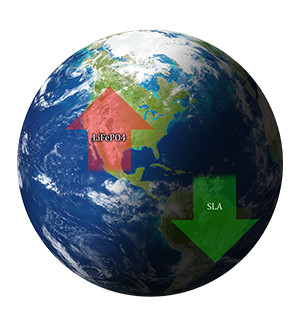 This stabilization of the redox energies also helps fast ion migration. 1). This battery with BMS(Battery management system) which can turn off the power automatic while the battery under-voltage, for example, you forget close the headlight or car door in night, the SLA battery will dead, but the LifePo4 battery will turn off the power automatic when the voltage low than about10.5v, you just press and hold the power button for 1-2 seconds to turn on the power again, then you car can start without any jumping cable. 4). Cleaner for the environment , No HAZMAT . while LiCoO2 and SLA cause serious pollution to the environment . 7). LifePo4 batter don't include any liquid then it is maintenance free. manual and have the battery replaced before it comes to the end of its life expectancy. 1). Turn off your engine. Make sure that your vehicle is in Park, with the engine shut off and the parking brake on. 2). Open the hood and place a blanket or pad over the fender. This protects your car from corrosive battery acid. 3).Remove the cables from the battery terminals. post with the little “–” or “NEG” on it.) If your vehicle has positive ground, loosen the cable with “+” or “POS” on it first. 4). Remove whatever devices are holding the battery in place. have a firm grip on it when it comes loose and it doesn’t drop and roll into obscurity. When the battery is free, lift it out of its seat and place it out of your way. 7). Turn off the power of the LifePo4 battery and Place it on the tray. Make sure it is facing in the same direction as the old one was. 8). Replace the devices that held the old battery in place. Try to wiggle the battery to make sure it’s completely secure. 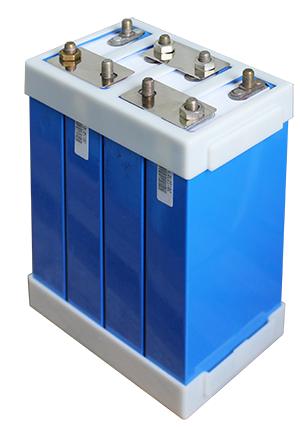 battery, if you have any trouble to secure it, just let us know, we will help you have a right solution. 10). Take the old battery to a recycling center that accepts batteries.